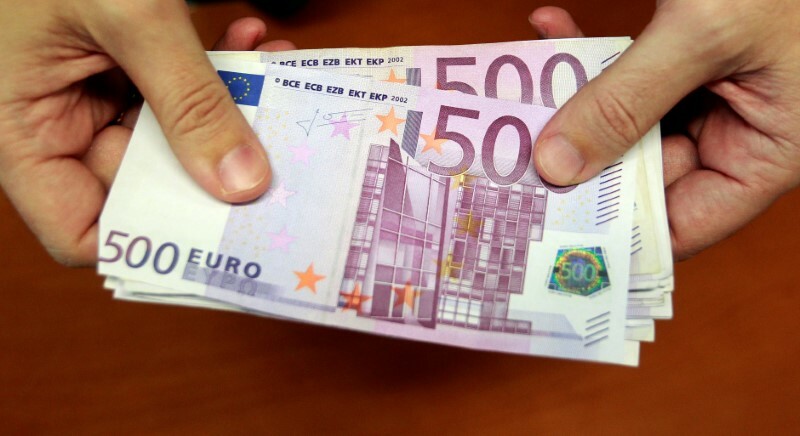 LONDON (Reuters) – The euro fell to a nine-day low on Friday after data showing a record Chinese trade surplus stirred worries about a deeper United States-China trade conflict, encouraging investors into the safety of the dollar. The , which has suffered in the past six weeks on concern that U.S. tariffs on Chinese goods will eventually hit its economy, reversed earlier gains in Asia and fell half a percent in offshore markets . The single currency dropped to as low as $1.1613 (), down 0.4 percent. The reached a two-week high at 95.232 (). The safe-haven yen fell to another six-month low at 112.775 yen , however, suggesting investors were not panicking. The dollar’s broad rally on Friday was also fueled by U.S. consumer prices data a day earlier. That showed a steady buildup of inflation pressure that could allow the Federal Reserve to raise interest rates as many as four times in 2018. European Central Bank minutes published on Thursday also weighed on the euro, showing that members remain dovish and are a long way from normalizing policy. Sterling slid more than half a percent to $1.3103 . The Australian dollar – seen as a proxy for China risk given Australia’s reliance on Chinese demand for its big mining exports – tumbled half a percent to $0.7375 . The currency has had a turbulent week, sinking more than 1 percent since Monday.